Also available at the Amazon Kindle and libraries. At the time, I had verified much of what he had written about, and the new and discrediting facts greatly puzzled me. They also forced me to question my findings and convictions and to look in other directions to take new bearings. For only by reducing my self-importance to the lowest, can I claim to be different from his captors and murderers; there is such a thing as a collective responsibility, a social contract. We all endorse a social contract that thrives in egomania, an egomania that causes the suffering of humanity by rendering us blind to the Whole. 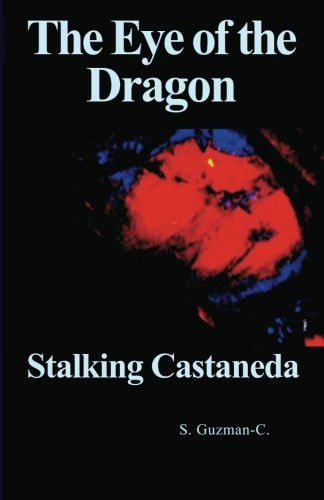 The intent behind Castaneda’s shamanic books is to help us become warriors who conquer ourselves; warriors who develop an awareness of our full potential as human beings. Apprentices are grouped as dreamers or stalkers, in an effort to classify them according to their abilities and energy configuration, but in fact, they have to be both; stalking helps dreaming and vice versa. Suddenly, a scene appeared! In front of me, I was seeing a building and a road; the long brick building had an architectural design that I had never seen before. I was sure that the vision would soon vanish due to my inability to hold it, as was usually the case. But to my surprise, the scene stayed. I decided to hold it for as long as I could in an effort to train (using Castaneda’s terminology) my dreaming attention. As soon as the realization struck me, I felt myself being pulled into the vision. I (or my dreaming body) was no longer lying on my cot, but standing inside the covered bed of a two-and-a-half-ton truck. I climbed down while disentangling my pants, which had stuck somewhere—probably a trick of my mind to distract me, since our reason will always feel threatened when unable to explain an event. I surveyed my surroundings. As I approached them, I surveyed my surroundings again. The park ahead had grass that seemed to have been recently mowed. I don’t remember any trees, although I saw long winding walkways and extensive terrain. I stopped briefly and looked back to make sure that I could retrace my steps to the truck as if there was an entrance there to my everyday world. But I didn’t need an entrance; shortly after I continued my stroll, I found myself back in my apartment.